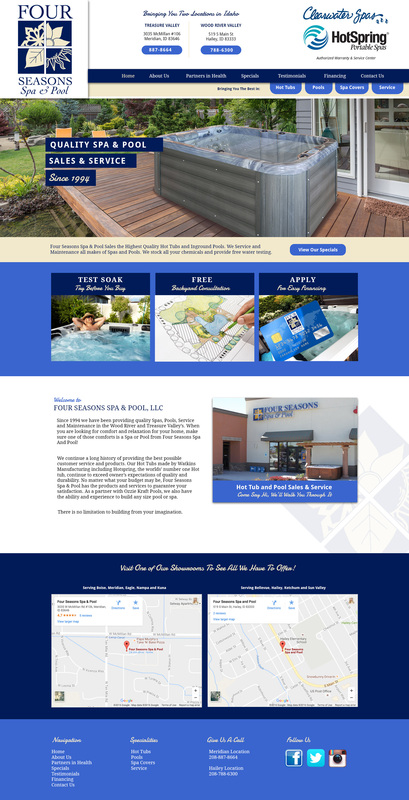 Four Seasons Spa & Pool Sales the Highest Quality Hot Tubs and In-ground Pools. We Service and Maintenance all makes of Spas and Pools. We stock all your chemicals and provide free water testing. Four Seasons Spa & Pool has been serving the Wood River Valley for over 20 Years. Our Meridian Store serves the Treasure Valley through Quality Customer Service and great Hot Tubs since 2012.